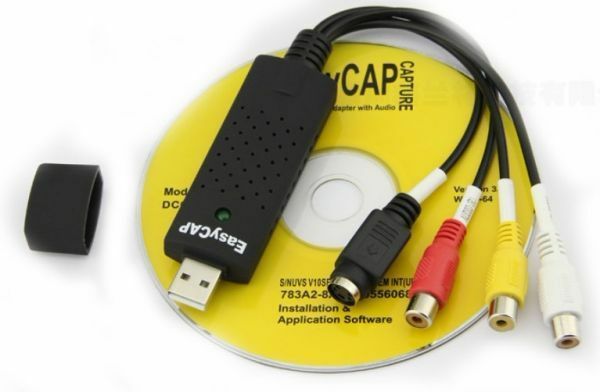 The EasyCAP USB2.0 Video Adapter with Audio, it can capture High quality video and audio file direct by USB2.0 interface without sound card. Solution for laptop, we have enclosed the professional video editing software Ulead Video Studio 8.0 SE DVD then provide best editing function for you. Video Studio is video-editing software that makes editing your movies as fun as shooting them. The new Video Studio Movie Wizard helps novice users finish stylish movies in only three steps. Share finished projects on DVD, tape, the Web, and mobile devices. High-speed rendering and real-time performance mean less time waiting and more time creating. You can create many special effect and clip video files etc. The installation is very simple and the external power is unnecessary. Works as described. Finding Drivers for this product is hard. Overall it's a good product. Finding Drivers for this product is hard.